Thomas Jefferson penned, “Can the liberties of a nation be thought secure when we have removed their only firm basis, a conviction in the minds of the people that these liberties are a gift from God?” For Michelle Smith, Concerned Women for America’s (CWA) newest Area Director of East Texas, Jefferson’s words provide a clear-cut motto to live by – either defend our country’s Godly principles and religious liberties or lose them forever. Motivated by Jefferson and eight years of experience as a counselor for a Crisis Pregnancy Center, Michelle longed to speak out against the immorality of abortion. She knew that women were not being fully informed about the emotional and physical consequences of abortion. Michelle knew she had to spread the word. Yet, she didn’t think her already extensive “to-do” list could fit policy activism. Then a spontaneous decision to work on a conservative campaign brought Michelle directly into contact with CWA of Texas State Director Ann Hettinger. Over a lunch date, Ann took the opportunity to explain CWA’s efforts to educate and advocate Biblical values in public policy. Michelle realized this was an opportunity to advocate on behalf of her Christian values. 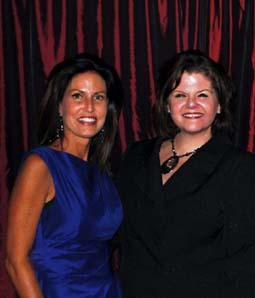 Shortly after her luncheon with Ann in February of 2010, Michelle joined CWA as a Prayer/Action Chapter leader. During Michelle’s first Prayer/Action meeting, 17 ladies gathered in her living room to humbly seek God’s wisdom and develop strategies for pro-life activism. Michelle confessed that she was relieved to discover many women share her values and concerns and are unafraid to make their voices heard. Get motivated and stand up for your Christian virtues and principles. Join your local Prayer/Action Chapter today by clicking here. To support the work of CWA click here.